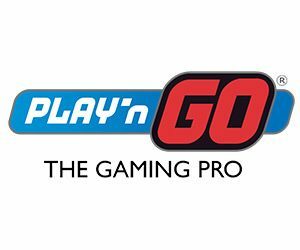 Play’n Go invites you to tame the wild with their latest game release. In fact, Gunslinger: Reloaded is a sequel to the popular Gunslinger game, and it got a much-needed graphics update. Plus, it also got an overall makeover since this new game is in HTML 5. So, you’ll have the chance to shoot for the top and win a jackpot on a mobile, desktop and tablet. 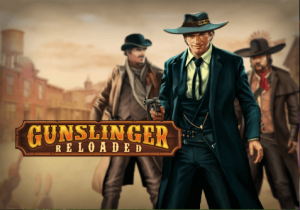 Beside, Gunslinger: Reloaded has much more to offer then a jackpot! Indeed, the bonus features of this western theme game are varied and yet, super entertaining. So, read about them below! Bonuses & features: Jackpot, Pick n’ click bonus, Free Spins, and Scatter wins. Highest-paying symbol: 5 wild cowboy symbols on an active paylines reward you with 400x your stake. Max Win: 5000x your bet + jackpot. First, let’s start by telling you a bit more about the jackpot and how you can win it. After loading Gunslinger: Reloaded, have a look at the top right corner of your screen, you’ll notice a series of cards or the royal flush blurred out. So, to light up a card all you need is a winning combination with a low-paying symbol. Once you have the seven cards lighted up, you’ll trigger the shoot a card feature where you’ll pocket an instant cash win. Or the jackpot depending on how lucky you are with your card selection. All and all, the wanted bonus is a big improvement from the original game. In fact, not only do you have the chance to pick more opponents after landing three wanted posters in the base game. But you’ll also have the opportunity to win bigger multipliers depending on the bandit you fight. To sum up, the wanted bonus has four stages. In the first stage, you’ll shoot a bottle. On the second stage, you’ll need to shoot a knife. On the third stage, you’ll shoot a dynamite stick. And on the fourth and final stage, you’ll shoot your opponent. Lastly, you’ll have the chance to trigger, of course, the Free Spins feature. To activate this bonus, you’ll need three bonus bottle symbols. The number of Free rounds you’ll play always varies. In fact, after landing the required symbols, you’ll need to shoot a bottle to reveal how many spins you’ll play. A great thing about this feature is that you can activate it multiple times in the feature itself. It’s never easy to come up with a successful sequel. However, we can honestly say that Play’n Go succeed with the release of Gunslinger: Reloaded. Undoubtedly, Gunslinger: Reloaded is an action-packed game. So, you’d be wise to give it a spin if you’re looking to have an exciting casino session. Try it now at any casinos listed on this site and have fun!